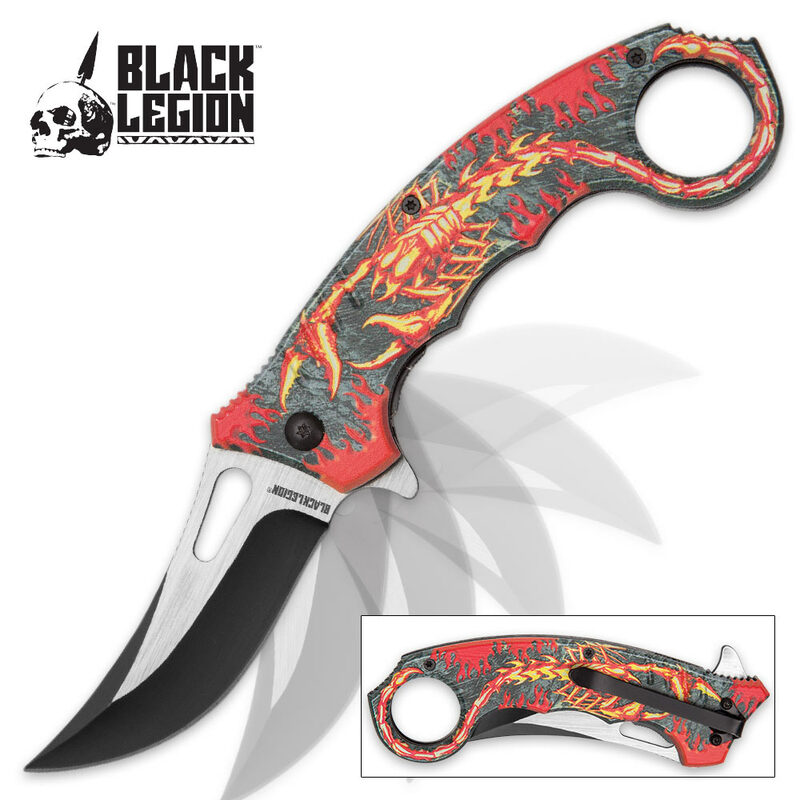 Black Legion presents its Scorpion Karambit Pocket Knife - the best of both knife styles in one. The 3" stainless steel, black and brushed blade has an upswept point and a cut-out design and you can access the blade quickly with spring assisted opening. 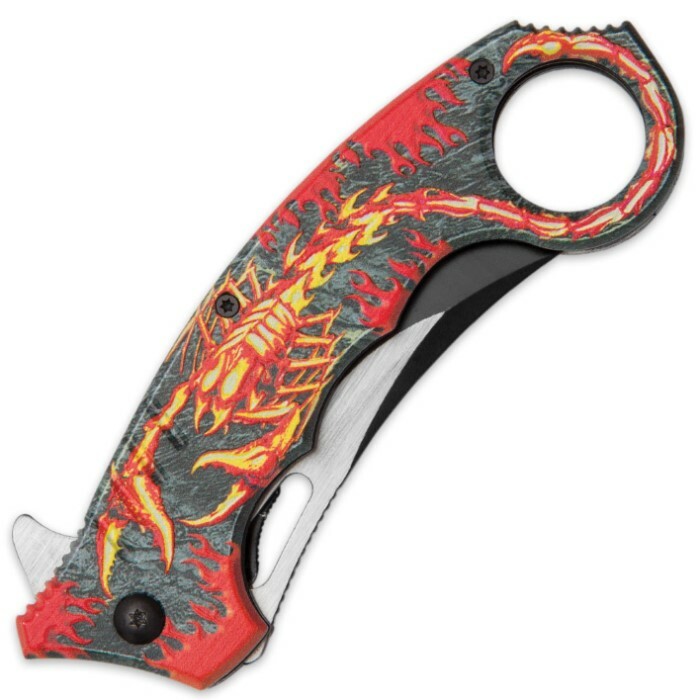 The pocket knife features 3D printed, highly detailed red and black scorpion artwork on the aluminum handle. The folding karambit also has a convenient pocket clip. 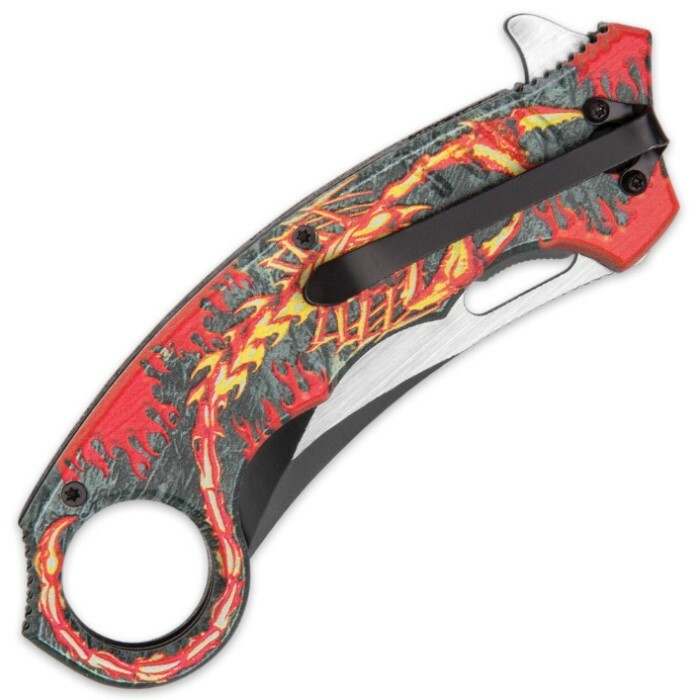 Want a signature karambit style blade that conveniently fits in your pocket, here it is!